Enhance your daily Dota experience with Dota Plus, a new monthly subscription service designed to help you get the most out of every match you play. 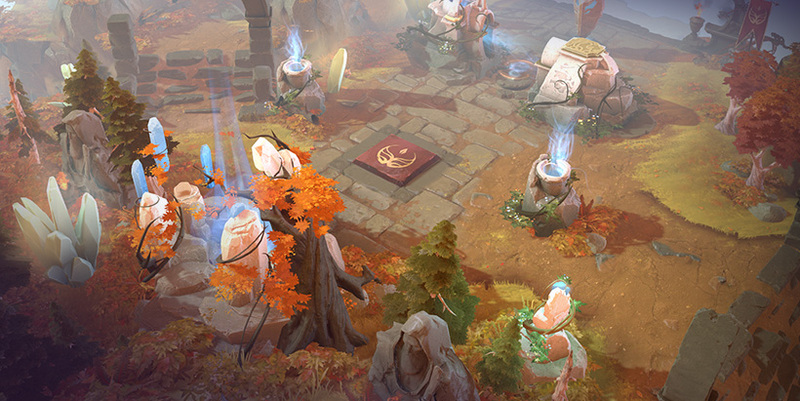 There are many milestones to celebrate along the course of your Dota journey, and with the new features introduced by Dota Plus, you can finally recognize the true extent of your accomplishments. Every hero now has a pool of tailored challenges—including those that focus on a hero’s specific mechanics—that allow you to sharpen and prove your skills and playstyle. Each challenge offers three levels of difficulty with more XP awarded for more stars attained, letting you push your level progression and explore your mastery of each hero at the same time. Track your in-game progress to help plan your strategy. But remember, you'll only reap the rewards if you win. Once you've selected your hero, you can choose from that hero's active challenges. A set of challenges can be refreshed every two weeks. Complete a challenge with one, two, or three stars in a victory in order to apply the XP reward towards your level progress. Take control of your hero's voice with the new Hero Chat Wheel, which lets you choose phrases your hero can say in allied or all chat. Each hero's initial phrases unlock after your first game as that hero, with more phrases available as you increase your hero badge tier. Each week presents the opportunity to earn 1,000 extra shards for your rewards stash—just win three games before the weekly timer refreshes. Plus Assistant offers real-time item and ability suggestions—generated from data gathered across millions of recent games at each skill bracket—to keep you up-to-date on the latest trends. Whether you need advice on which hero best fits a draft, or aren't sure what to build after securing that coveted Blink Dagger, Plus Assistant is in your corner. For the draft, the Assistant offers item suggestions according to which lane you've selected and the lineup of heroes. During the game, you'll see three item build sequences to choose from, as well as a pool of other popular items. Suggestions are based on your lane selection and items you purchased so far. Decided to buy a different set of items because of a situation that came up in the game? Hit the recalculate button to see what suggestions it has based on your current item inventory. The Plus Assistant will display a suggested ability to select at each level. Suggestions are based on hero lineups, the lane you are in, and which abilities you've already selected. If you veer off the suggestions, it will take that into account and create a new suggested sequence. Don't know which hero to pick? Look for the Assistant's suggestions, which take into account the heroes your allies and enemies have selected to give you a set of options to choose from. Whenever a hero is dead, access their Death Summary for a second-by-second timeline of incoming damage, stuns, and other disabling effects that led to their demise. You'll have a complete breakdown of damage types and sources, available in real time whether you're a spectator trying to make sense of a brain-melting teamfight or a respawning player learning how to avoid a recurring fate. Sometimes conditions dictate that plans must change, and that can include lane configurations. As the pre-game draft proceeds, the Assistant will provide suggestions for how your team may choose to lane. To ensure everyone is on the same page, teammates of Dota Plus members will also see these suggestions. After the match, you can compare your performance for a given metric over the course of the game to what the average performance is at a given skill bracket. You can also check out a grid that shows how much damage each hero dealt to all other heroes, broken down by source abilities, summoned units, and attacks. See pick/win rates for Talents as well as trends for hero picks/bans/wins in each skill bracket. Compare how you perform with any hero (kills, deaths, GPM/XPM, etc.) to how other brackets perform to see what you need to improve. During the game, you'll have an updated HUD with real-time K/D/A, Last Hit, and Net Worth stats that let you track your performance compared to the average of other players on that hero in the same skill bracket. Dota Plus also brings another addition to spectating tools. To complement the Gold and XP graphs, spectators can now check out a graph of expected win probability calculated based on conditions in the game. The weekly Battle Cup is back. And it's free for all Dota Plus members. Non-members can still buy Battle Cup tickets for $0.99 in order to participate. The prize for winning, in addition to the special emoticons and profile accolades, will be 20,000 Shards. 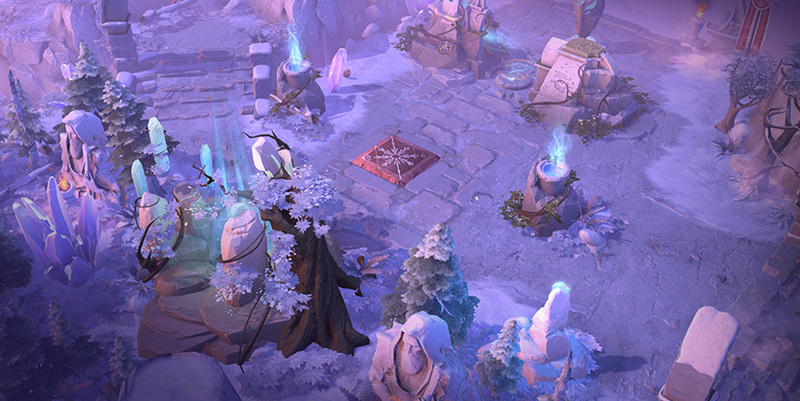 The layout of the Dota map is indelible, but sometimes a bit of seasonal variety is nice. 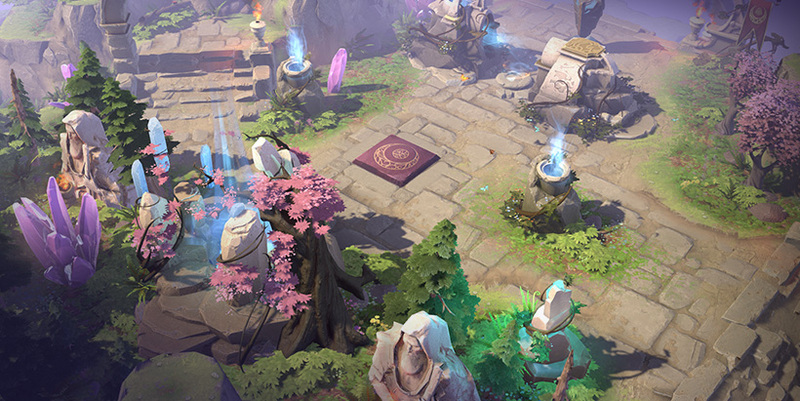 Dota Plus members will have access to the Seasonal Terrain active during each season. Dota Plus members can set their Lane Preference before they even enter the queue. Just match into the Ranked Roles mode with a lane selected—either Safe, Mid, Offlane, or Support. The matchmaker will build a complete group, and show each player’s position to your team during pre-game. You can still choose whichever hero best fits your needs, but now you'll be able to build your strategy knowing exactly which roles your teammates want to play. It's important to recognize the accomplishments of others, and with the In-Game Tipping feature, it's never been easier to celebrate success. Feel free to tip your allies for setting up a kill, or even doff your hat in admiration of a maddeningly effective enemy smoke gank. You can issue up to three 50-Shard tips during a single game, up to a maximum of ten tips per week. Tips don't come from your own Shard stash, so there's no need to be frugal. Plus members can purchase the Artificer's Hammers, Artificer's Chisel, Description Tag, or Name Tag as Plus Rewards, allowing you to customize your cosmetics with an array of special tools. Want to join the fun of your friend's game without signing on as coach? Plus members can spectate the team perspective of a friend’s live game without a broadcast delay, allowing you the flexibility to jump in or out at any time. The Plus Prediction Charm grants Shards for correctly predicting your victories before the start of each match, so don’t forget to cash in on your confidence.